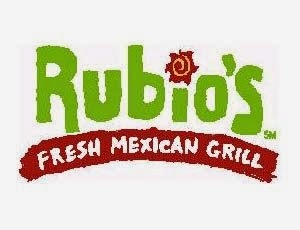 Hey have you ever been to Rubio's? I had not ever been and while my Mom and I were running errands in Oxnard, we decided it was worth a try. It is that in between restaurant that is a step up from typical fast food and just under your common dine in restaurant. Think Baja Fresh type menu, order at the counter and take a number. 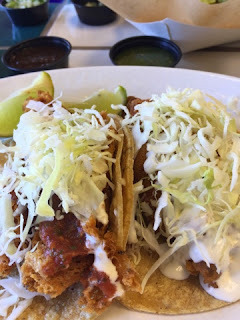 I knew right off the bat I wanted to try the Crispy Fish Tacos. The best version I have ever had are the Snapper Jack's version. These unfortunately did not surpass the quality of Snapper Jack's due to the quality of the fish. It was fried nicely but the actual white meat was not as big and flaky. 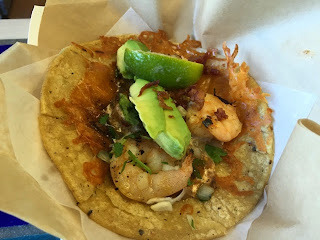 Kathy ordered the Shrimp Taco and she said it was totally tasty. She also tried the chicken version and it failed to impress after consuming the shrimp. I liked that the restaurant was totally clean, had a salsa bar and prices were totally reasonable. For two people to get a lunch for under $20 these days is pretty amazing. I would return. 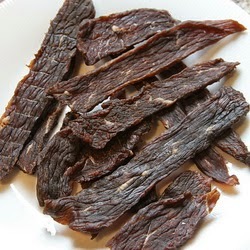 After our errand running, we went back to my house to work on our Beef Jerky production. We went to the butcher inside our local grocery to slice a London Broil steak into 3/8 in slabs. It made less work for us as we sliced the meat into strips. After a quick soak in soy sauce we laid out the strips on oven racks. We then seasoned up the batches, experimenting half way to see which would come out the best. My version which included garlic powder, onion powder, pepper and a generic Barbeque seasoning seemed to really do the trick. What I learned from this experience is over season the meat, to the point you really thought you over did it. 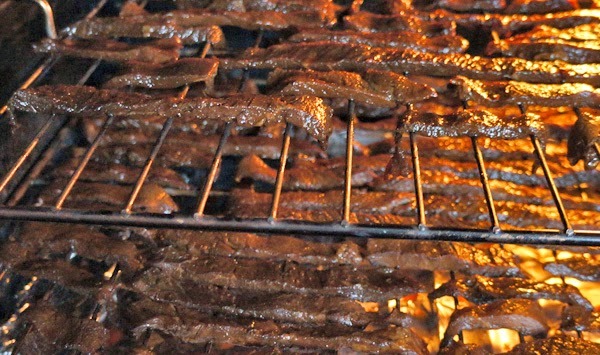 With your oven set a 170 degrees, place the jerky racks in and set your timer of 6 hours (all depending on the size and width of the jerky). I placed a spoon in the oven door, to keep the air flow going during the cooking process. My brother taught me this recipe and I think he just may be the master. Although my version was good, it was not great like his. He should package, label and put his jerky in stores! My blog is on vacation!